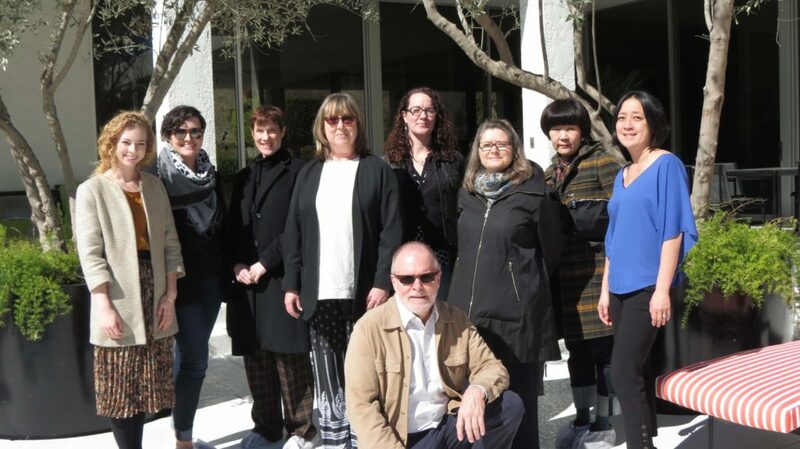 Lancaster, Penn.– Armstrong Flooring’s most recent Design Council, including nine interior designers from across North America, gathered in Palm Springs, California, during Modernism Week to discuss future trends within the commercial design space. Members of Armstrong Flooring’s Design Council includes: Kristin Mayhew, Paterson Design, Brooklyn, N.Y.; Sarah Finis, NAC Architecture, Seattle, Wash.; Laurence Delgrange, STR Partners LLC, Chicago, Ill.; Whitney Tong, VLK Architects, Dallas, Texas; Beth Hiltonen, Gresham Smith, Jacksonville, Fla.; Gabrielle Rossit, Montgomery Sisam Architects, Toronto, ON; Ritsuko Shibutani, SmithGroup, Los Angeles; Suzanne Sasaki-Hartstein, Rainforth Grau Architects, Sacramento, Calif.; and David Kimzey, NK Architects, Morristown, N.J.
Armstrong Flooring principal designer Razieh Council presented commercial design trends and the vision for what’s next in flooring. 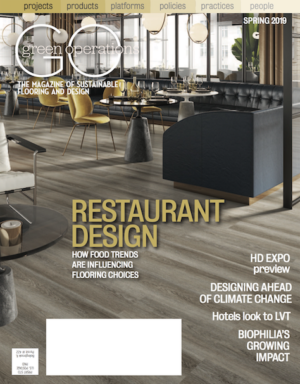 “The current trend in biophilic design will naturally advance, with designers exploring humans’ footprint on nature, as well as how weather and natural forces influence the materials we’ve manufactured,” Council said. Each of the nine designers presented a collage of material that inspires their work and a palette of their favorite colors, along with their forecast of where design trends are heading. They participated in a collaborative session to review and provide their input on LVT designs that are expected to launch into the market in Fall 2019. Fashion and textile designer Candice Held also participated in the Design Council event. She selected Armstrong Flooring VCT for use in her Palm Springs boutique and has created new designs for Armstrong Flooring, such as the recently-launched Abstract Geo. Design Council members concluded the event with a tour of local Palm Springs architecture, including the mid-century modern design of William Holden’s Deepwell residence.